We’re a coupon clipping service. You order the coupons you need, we cut and ship them. It’s that easy. No membership fees, no hidden fees, no checkout fees, just great coupons shipped right to your door fast! Here are answers to any questions you may have when shopping with us. All coupons are real Sunday newspaper coupons from Smartsource, Retailmenot and P&G coupon inserts. Minimum Order: We do not have a minimum order amount. We sell coupons in batches of 15 coupons. It's a lot faster for us to work in counts of fifteen and it actually saves you money. When you at 1 batch to your cart that's 15 of the same coupon, 2 batches that's 30 of the same coupon. We offer three levels of shipping. First Class ($0.55) 3-7 business days. Priority Mail 2-4 Business days or Air Mail 1-2 Business days. Insurance is included in Priority Mail up to $50. Air Mail also has insurance up to $100. You can purchase extra insurance for First Class or Priority Mail at checkout. We do not post delivery times as only Air Mail is guaranteed delivery within 1-2 days. The mail is always slow in the winter, be sure to order the speed you need. Priority is best for large orders or for those who need them just a bit faster to catch a good sale. We ship to any place with a valid US zip code. Apo, PR ect… Orders ship as soon as we can. No need to ask us for faster or same day shipping. It will only delay your shipping. We ship every week day, no Shipping on Saturday, Sunday or Holidays. Orders containing only items priced as FREE will be delayed 3 days before we ship them, add some others to get faster processing. We take Paypal payments. Make sure your address is correct and you already have money in your Paypal account before you checkout. We also take credit cards. You will be able to pick your shipping method as you checkout. The expiration date is listed right in the title and will look like this 12/12/2016 (month/day/year). Dates are provided for you, they mean nothing to us. 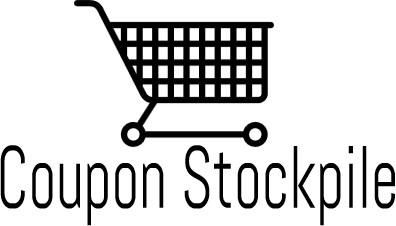 Coupons will remain on the site well past the stated expiration date. Many folks can still use them well past the date. Be sure to shop carefully and double check your order before you check out as we do not adjust orders or issue credits/refunds for expired coupons. We recommend you leave yourself 10 days if you are ordering close to an expiration date and can’t use expired coupons. Picking a faster delivery time will also help. Returning or requesting a credit/refund on expired coupons will close your account with us. You can save a cart for later. But you are not saving the actual coupons for yourself. The cart is in real time. It is possible for items to be removed from your cart if they sell out. When going after Hot Coupons / Top Sellers it may be best to checkout quickly to avoid losing your coupons to another buyer. We will gladly accept the return of any whole order within 7 days. We do not accept expired coupons back, no credit will be given for them. A 20% restocking fee will apply. You must track your shipment. Your tracking number will be used to issue the store credit. No number / no credit / no exceptions. We have a 5 batch Limit (75 of the same coupon) per hour. This is done to insure all have a fair shot at the hot coupons. You can order any time you want. Some customers order two or three times a day. We can’t combine orders to save you on shipping. It’s just too hard with all the orders we have coming in every day. Once placed, orders are final. Can I Add to an order ? No, once paid for orders cannot be changed. Can I cancel an order ? No, If the request is made your account will be closed. Can I change My Order ? No. Orders may not be edited, added to, changed or canceled. Can I check the status of my Order? Yes, you can see if your order is processing or has shipped, just log into your account. Emails are sent when an order has shipped. My order has not arrived. If you do not have insurance on the order and it does not arrive do not contact us, we do not issue replacements or credit/refunds. If we are notified of an order that does not arrive your account will be placed on hold and you will be prevented from ordering. It is not possible to restart an account. If you have insurance on the order after 21 days you can file a claim on the USPS website. Just contact us for help (after 21 days has past). Do you ship on Weekends ? No we do not. What if WE made a mistake ? Just contact us from within your account. We usually require a return on the whole order. I can’t Log in: If you did not break any rules you should be able to reset your password. I get a 403 error: If you get the 403 error. Your account has been banned. Be happy. Be polite. Do not be demanding or rude. Anything negative and the account will be closed.